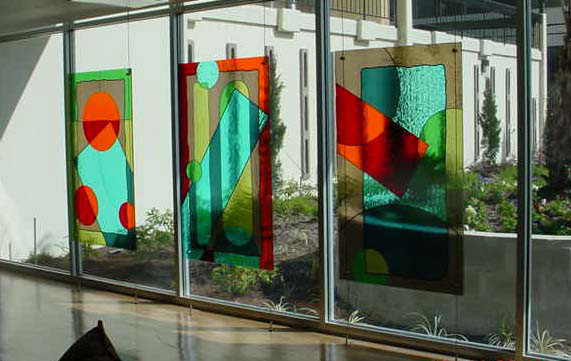 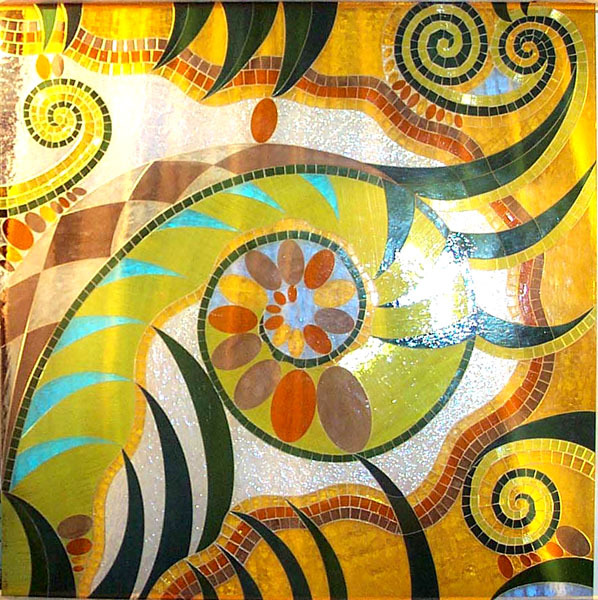 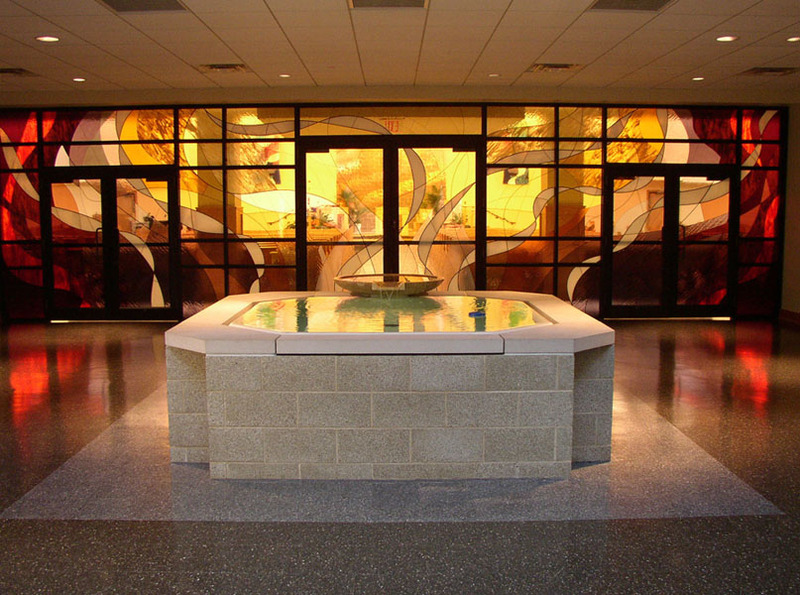 Much larger work can be achieved by laminating decorative glass to a plate glass substrate than by fusing. 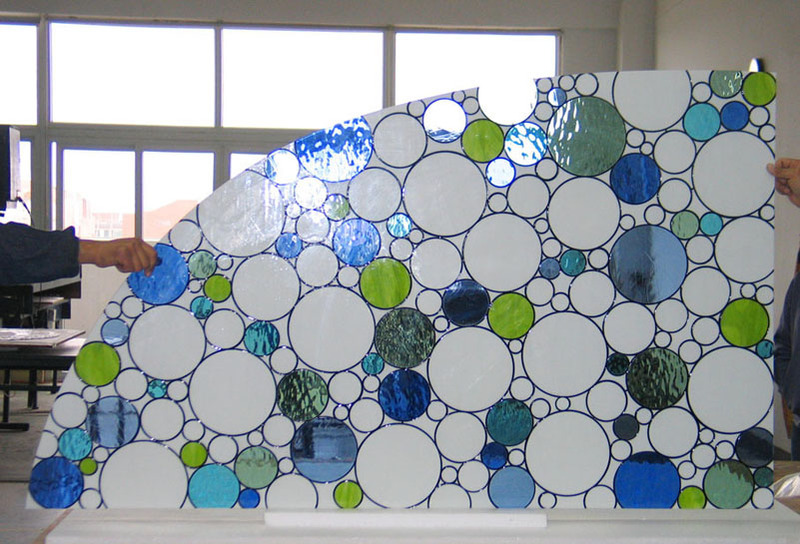 This technique allows us to create walls of glass, and have safety glass where necessary, as in shower enclosures. 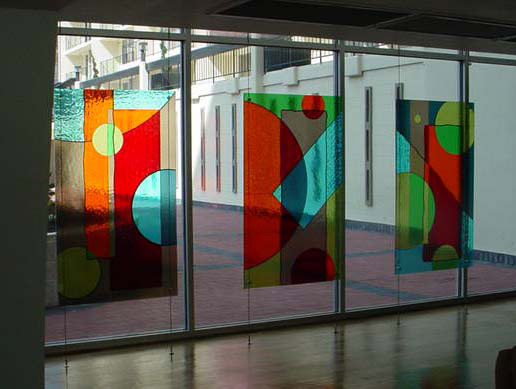 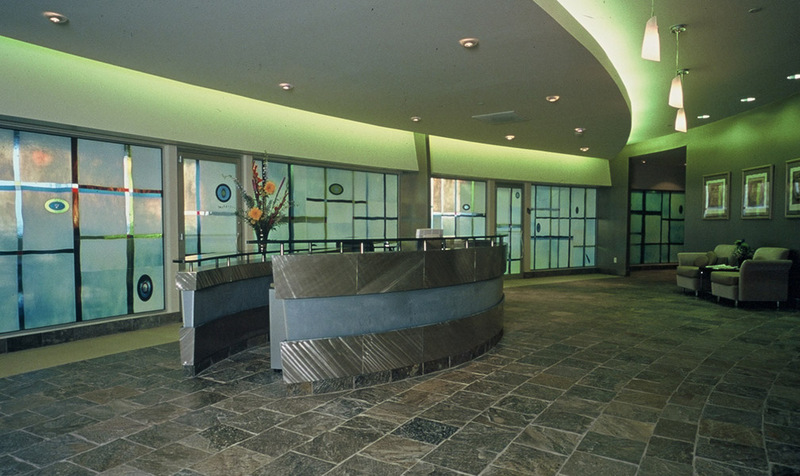 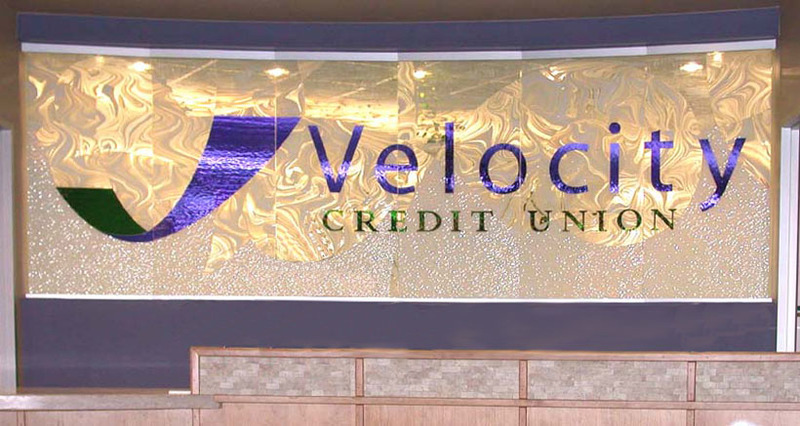 Click on the images below to see examples of Studio K architectural laminated decorative glass.